Creating over 5,000 toys since its inception in 1930, Fisher-Price has become a world leader in children’s toys around the world. With a commitment to quality, the companies focus has always been to manufacture products that are strong in construction and value for money. Known for their line called Little People, another example of their popular products include their Power Wheels, Rescue Heros and the Rock-a-Stack. If you are searching for a toy for your child, we would highly recommend Fisher Price. Need to ensure the optimum development of your baby’s psychomotor and cognitive skills? Then the Brilliant Basics Rock-a-Stack is simply perfect. With colorful stackable rings, rattle beads in one of the rings, and a rocking bottom, this is one plaything that is guaranteed to shape the full potential of the young brain. This cute zebra may not be Marty but it sure knows how to both please and teach a young kid. With its sturdy and wide wheelbase supporting its body that’s filled with a lot of buttons that plays songs, the alphabet, and many wonderful lights, it’s a great way to learn with the Zebra Walker. It’s a box, that’s for sure. But for the little kid, this ‘simple box’ can already mean a lot of things. It’s got holes with certain shapes that kids will have to figure out which hole will accommodate a colorful block in the activity cube. Baby’s First Blocks don’t play any music, though. Give your little princess the Surprise & Sounds Home and watch her make a really fantastic interpretation of what an ideal home should be. With more than 50 sound effects, phrases, and songs every time your kid manipulates something, this doll house a really ingenious way to stimulate young children’s imagination. BeatBo is not your average robot. Sure, it cannot be programmed to perform a variety of complex tricks. But BeatBo sure can dance while lighting up its tummy with a fabulous display of LED colors. He bops his head and shakes his hips while giving your kid a chance to grow optimally. It’s a playground piece that looks more like the bridge of the USS Enterprise of Star Trek. The great thing is that the Bright Beats Smart Touch Play Space comes with a highly interactive light bar that responds with sounds, music, lights, and learning phrases every time your kid touches the panels. Developing the gross motor skills of children is an essential step towards their mastery of the art of walking. Adding a fun element to each step is ensured by the Corn Popper. As kids push the Corn Popper push toy, colorful balls bounce up and down the plastic dome, creating wonderful popping sounds. Need an excellent combo play set for your baby? You’ve got to try the Rock-a-Stack and Baby’s 1stBlocks Bundle. It’s a set that’s specifically designed to stimulate the continuing development of your baby’s gross and fine motor skills, color and shape recognition, balance, visual spatial coordination, and sorting abilities. 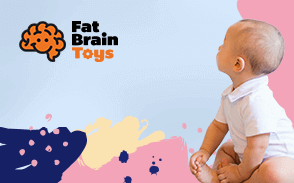 Sensory toys are important for babies’ optimum brain development. And if you add musical element to the toy, then other areas of the brain are also developed. That’s what the rattle and Rock Maracas Musical Toy guarantees. It’s got soft pom-poms and colorful beads that will help provide auditory, tactile, and visual stimulation. These bugs are not going anywhere. They may bop their heads up and down every time your kid bats them or by simply pushing or manipulating the different shapes of buttons on the Boppin’ Activity Bugs Play Set. It doesn’t light up but it sure can create funny sounds. Meet BeatBowWow. He’s a friendly-faced pooch with numbers written all over his ears and two buttons on his front paws. Push one and BeatBowWow plays music, tunes, and learning phrases. Press the other and your kid is treated to some fun learning. His waggly tail comes with LED lights, too. This dino has a few tricks up its scaly legs that will surely entice your baby to start crawling on all fours. The Poppity-Pop Musical Dino plays 8 lovable tunes as well as silly sound effects while popping balls up and out of its wide back so your kid gets to crawl after them. It’s never too early to start teaching your kid about simple concepts in money management. This pink piggy bank may not be as fat as you’d hope it to be, but it knows how to teach kids about numbers and animals while also providing fun learning songs and phrases from its porky belly. Code-a-Pillar is a friendly little caterpillar that is destined to be a wonderful butterfly in your kid’s imagination. Its fully segmented body comes with different actions that will spell how Code-a-Pillar moves. And as this nifty caterpillar moves along, its segments light up, providing for a more engaging experience for your kid. Forget getting your baby a high-end tablet for now. What he or she needs is the various baby-friendly learning activities that are built into the Smart Stages Tablet. Letters, animal names, and first words help build your kid’s vocabulary while entertaining him or her with tunes, sound effects, and light shows. The Classic Xylophone is a simple 8-bar xylophone on wheels which doubles the fun as it can serve as an easy pull toy. But tapping on these xylophone bars should help introduce your kid to the wonderful world of music creation while also enhancing his or her psychomotor skills. Is there any child who doesn’t like going to the amusement park? With plenty of rides to choose from, it’s a wonderland for kids. The Loops ‘n Swoops Amusement Park Playset gives kids the chance to create their own fabulous adventures while also developing their psychomotor and cognitive abilities. Nobody can be as menacing in the high seas as a pirate and no other creature can be as fearsome in the ocean deep than the shark. Now, try combining these two and you get the Imaginext Shark Bite Pirate Ship designed specifically for the young, creative, and imaginative buccaneer. There’s a new wheel in town and it’s painted in red plus it has a friendly face. The Laugh and Learn Crawl Around baby car is not going anywhere, though, as it’s designed for stationary play. Kids get to sort differently colored shapes, press light-up buttons, and even play a variety of tunes. Remember that classic rotary dial telephone that we used to have? It’s back and it now has a friendlier face so kids will be more than enticed to use it and listen to its fun ringing sound effects. It’s got a string, too, for pulling along wherever your baby decides to go. This lion never roars and although it has a large mane that surrounds its head, it’s actually filled with the number 1 to 10. Feeding balls into the wide-open mouth of the Stride & Ride Lion elicits wonderfully silly sounds. This lion is your kid’s friend moving through the different stages of childhood. You’d wish you had this chair when you were a kid. The Smart Stages Chair simplifies learning for children and makes it a lot more comfy, too. The armrests of this kiddie executive chair have built-in learning elements that are sure to develop your kid’s language and cognitive abilities. Stacking toys serve to enhance young children’s sense of balance as well as visual spatial intelligence which can have an impact in the development of their math skills. The Stack & Roll Cups have the added benefit of introducing young kids to various colors, critical for visual sensory development. The Kick & Play Piano Gym is a multipurpose mat that comes with different elements to ensure the optimum development of young children. The piano board at the feet can serve to strengthen your child’s legs while playing music and sounds. The arch comes with dangling rattles and stuffed toys for psychomotor and brain development. Letting your baby play with the Singin Soccer Ball introduces him or her to an entirely different kind of ball game. The songs and fun phrases that this friendly soccer ball play help build the foundation for language development while its soft and squeezable nature ensures optimum development of the brain. Sitting is one of the critical skills that all young kids have to master before they can start learning how to stand and walk. And with 2 lovely toys dangling in front of the frog-inspired Sit-Me-Up Floor Seat, babies will surely mastering this skill in no time. It also easily folds. The Bright Beginnings Activity Walker is a straightforward plaything that allows older babies to master their walking skills. It features a variety of learning elements that entices kids to learn while playing. It is also highly portable so you can easily bring it wherever baby goes. Great space-saver, too. Airplanes fascinate us in a way that no other modes of transportation can. It’s the epitome of man’s imaginative abilities. And with the Lil’ Movers Airplane, kids get to play the role of a pilot taking care of his or her passengers while providing them with songs for their flight entertainment. Riding on the Harley-Davidson Tough Trike is fun and cool. While it doesn’t have that signature hum of a powerful Harley engine, it does make up for it by providing one tough and durable body complete with extra knobby, super wide tires that ensures greater stability when kids ride it. Having problems calming your baby when he or she becomes a bit fussy? Try getting the Snugapuppy and your young angel will be soothed to slumber land. The soft vibrations on this snuggable puppy help provide a more calming effect to little ones while stimulating their senses for brain development. It’s an office workstation that’s designed specifically for very young office workers. There’s a workstation for tinkering with a laptop and there’s an area for answering the telephone. To make work more fun, the Puppy & Friends Learning Table also feature a book and a piano for added enjoyment. Let your child take care of her ‘baby’ by letting her push the Stroll Along Walker with her baby doll comfortably seated in this stroller-designed walker. The great thing is that it actually helps your young child master her walking skills by providing her with a more stable platform in which to hold on. Playing with the Wheelies All About Working helps introduce the concept of professions to young tots. If you can still remember Sesame Street’s song, ‘Who are the people in your neighborhood?’ then this should be a physical representation of that song. Small and adorable, these cute vehicles make for a great collection, too. The big flood is coming. You’ve got to help Noah put as many animals as he can into his large ark. But Noah really does need your child’s help in putting the elephants, zebras, and lions inside the ark before it starts to rain. At any rate, this will introduce your kid to these animals. If your child is having a hard time falling asleep, try letting him or her hug this lovable seahorse and watch it provide a more soothing sensation and a soft glow that will rock your baby to sleep in no time. The Soothe and Glow Seahorse plays 8 lullabies as well as calming ocean sounds. BeatBelle is BeatBo’s twin sister and she’s here to entertain your little angel with fantastic moves that will encourage your own child to start moving around. She sways her hips and nods her head as she plays energizing music. She also lights up her tummy to keep your kid fully entertained. Lord Zedd is teaming up with Rita Repulsa and Master Vile to hatch a plan that will end the Power Rangers once and for all. Our superheroes need your kid’s help to control the Imaginext Power Rangers Morphin Megazord to blast all of these baddies to smithereens and save Earth again. Ensuring Gotham is safe for everyone is quite a challenge, even for Batman. But if you have the Imaginext DC Super Friends Batcopter, patrolling the skies of Gotham, catching crooks and other criminal elements, and making sure they get the justice they deserve is definitely made a lot easier. This is one playset we can guarantee your kid will love. Combining Gotham and Metropolis and Batman and Superman in one Super Hero Flight City is remarkable. The playset features 4 power pads that make playing more fun, more engaging. It’s a superb way for kids to live out their superhero fantasies. Straight out of children’s imaginations comes the most awesome dinosaur you could ever give to a child. The Ultra T-Rex is no longer just your prehistoric alpha predator. It’s been beefed up with enough firepower to level an entire city block while still retaining its meat-shredding teeth and claws. The Laugh & Learn Smart Phone may not be your iPhone or Galaxy but it is a very useful smartphone nonetheless. It comes with built-in songs, fun phrases, and dazzling light effects to get your kid into the groove while pretending to use a real smartphone. It’s geared for imaginative play. Whether your kid is already a walker or is still crawling, the Crawl-Around Learning Center should be a welcome playground for him or her. It’s got 2 panels bridged by an arch for kids to crawl through. They can play with the learning elements in one panel before crawling to the other. If your kid could ride Dumbo, he or she would most likely be riding on the Bounce, Stride, and Ride Elephant. It’s got a bouncy seat that should bring lots of fun to your kid while lovely melodies and children’s songs play in the background. The bumblebee wobbles while you move along. Every young child deserves to have a night lamp like the My Pretty Learning Lamp. It’s a baby-controlled lamp that plays a variety of soothing and calming songs while also enabling kids to learn about numbers, colors, shapes, and even the idea of opposites. And when it’s slumber time, it sure is handy. There’s a new handyman in the house and he’s getting ready to build a project you’ve never seen before but will, nevertheless, wow you and the rest of the family. Songs and tunes accompany your baby’s work as he tinkers with the Learning Workbench. These are light-up pegs, too, for extra fun. Join Cinderella and Belle take to the dance floor of this Disney Princess Musical Dancing Palace. Let them dance to the lovely tune of the Beauty and the Beast and the wonderful beat of Bibbidi-Bobbidi-Boo. Hear the trumpets roar to life as your child opens the majestic door of the palace. If music is an integral part of your family, then starting your kid with the right musical instruments is essential. The Musical Band drum set may not be the best when it comes to musical instruments for kids, but it sure can introduce the idea of creating wonderful sounds using different tools. Let your little one learn more about the kitchen by letting him or her express whatever he or she thinks the kitchen is for. With this folding, 2-panel Learning Kitchen, your kid gets a nifty stove and oven on one panel and a beautiful refrigerator on the other. This kitchen playset comes with play food and cookware, too. With a smiling face beckoning your kid to explore the different buttons on its keyboard this Smart Stages Laptop is a great way to introduce young children to today’s technology. Typical of Fisher-Price, you can expect lots of learning activities with each press of the button, designed to help kids achieve their full development potential. The Brilliant Basics Activity Puzzle is an exceptionally built and well-thought out plaything that is designed to stimulate early problem solving skills in young kids while also developing their fine motor skills, color recognition, animal identification, and visual spatial reasoning. It’s also a great tool for enhancing sensory development of young kids.